Water, water, and more water. If you like water, then there are plenty of things to do in Niagara Falls NY to satiate that appetite. Best of all, you can experience the Falls in several ways: from a far, up close and personal, or right in the gorge. On my second night in Niagara Falls for the TMS Family Travel Conference, I enjoyed appetizers and dining with other attendees at The Top of the Falls Restaurant on Goat Island in Niagara State Park. Both outdoor balconies at the restaurant overlook the park and provide picturesque views of the top of Bridal Veil Falls. Looking out at the Falls, across to the Canadian skyline, there’s a constant mist that floats upward, peaking a first-timer’s curiosity as to what lurks below. Observing the Falls from either the park or the restaurant is a nice way to appreciate the beauty of the area from a far. You have a couple of opportunities to feel the Falls up close and personal that don’t require you going over them in a barrel like 63-year-old teacher Annie Edson Taylor or daredevil Nik Wallenda. For something less extreme, Cave of the Winds and Maid of the Mist are perfect. Even in the darkness, you can find a rainbow at the Falls. Cave of the Winds is not really a cave. Let’s just get that out of the way. It was closed down in the 1920s because of a rockslide. Getting to the attraction requires a 175 feet descent down an elevator shaft to a well-lit tunnel. We got all fashionista with a pair of lime green and blue orthopedic sandals that walked our feet through a maze of wooden steps and platforms which led us to the Bridal Veil Falls. You can view the Falls from several areas, depending on how wet you like to get. If you’ve traveled all this way, you might as well head up to the Hurricane deck. You will see, hear, and feel the force of the water. It is intense but oddly euphoric. (Apparently, it’s believed that the mist from the Falls creates negative ions that increase serotonin levels which help to alleviate depression and stress and boost daytime energy.) In other words, you feel good. Maid of the Mist is a boat attraction that transports eager visitors into the mist of Horseshoe Falls. Getting to Maid of the Mist was an adventure all in itself. You walk up a super crowded platform dense with bodies and cameras, enter an even more crowded building where you can find the gift shop and the restrooms (and probably some other stuff but there was so much going on, my brain was in overdrive and I had to block things out). Go to the bottom of the stairs to catch an elevator that you will pack with other visitors to get to a short path that will lead you to the platform where you will board the Maid of the Mist. If you didn’t pick up my subtle hints, this attraction is packed! It’s extremely popular so be prepared if you have a thing about crowds. Once you’re on the boat, scurry your way to a spot along the boat’s railings if you really want to get wet and grab a great shot of the Falls. Ridges and cliffs surround you as you cruise on Maid of the Mist. As the boat approaches the mist, you look around at the surrounding mountains realizing that you’re in a gorge and how insignificantly small you really are. I had a moment where I stood in awe of nature’s beauty before I felt the gentle prickling of the mist creeping up my hands and then my face. Before you know it, the weight of that mist gets more and more dense and suddenly it’s an onslaught of water. The squeals and screams of women, children, and men are soon drowned out by your own. Within a few minutes, as the Maid of the Mist makes her turnaround, the cool shower is over. Yes, that was me, front and center. I don’t know why I listen to the “crazy lady” voice that tells me to do certain things when I’m out exploring. All I kept saying throughout the ride, as water from the Class 5 rapids (that we were “playing in”) kept dousing our bodies, was, “ridiculous!” There. Was. So. Much. Water. Why did I think anything was going to stay dry?? I had the nerve to roll up my pants. I did manage to keep my hair dry but it took copious wrapping of three different materials to accomplish that feat. Not my best look. Listen, when I tell you that you’re going to get wet, believe me. You WILL need a change of clothes. You will need a change of everything. Get my drift? I have no photos from this experience because I valued my camera and my cell phone. This soft adventure tour is a fun fun ride on a high power speed boat that uses a triple turbo diesel water jet system for both propulsion and steering. It’s completely safe and exhilarating, and probably the closest I will ever get to white water rafting on the Niagara River gorge. We got close to some Class 6 rapids but didn’t dare go into that sink hole. The force and movement of the water in this particular area where we went creates a dangerous whirlpool that you wouldn’t want to get swept into. All of these attractions were the wet side of fun things to do in Niagara Falls NY. Here are some ideas of other fun activities in the region. Have you been or do you know of some other fun wet things to do in Niagara Falls that I missed? Please share. I was hosted by Travel Media Showcase and The Niagara Tourism and Convention Corporation for my trip to Niagara Falls NY, where my entrance to the aforementioned attractions was covered. If you couldn’t already tell, all opinions expressed here within are my own. 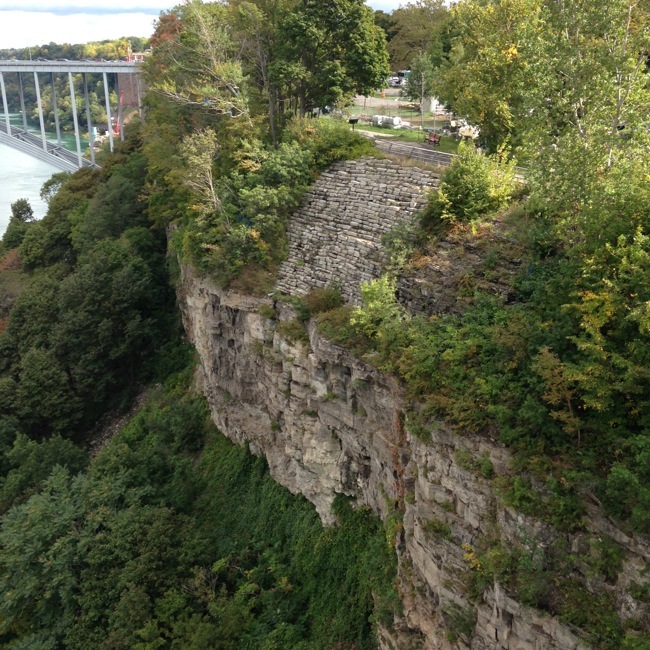 Great write up on The Falls … I usually see them from the Canadian side as I’m from Kingston ON! I did not take everyone’s advice and walk to the Canadian side. I think both sides have their equal due. Hopefully if we go to Canada in December, we will make our way down there (albeit that’s not the BEST time to go see it) and I can view the falls from the other side of the gorge. Thanks for stopping by.